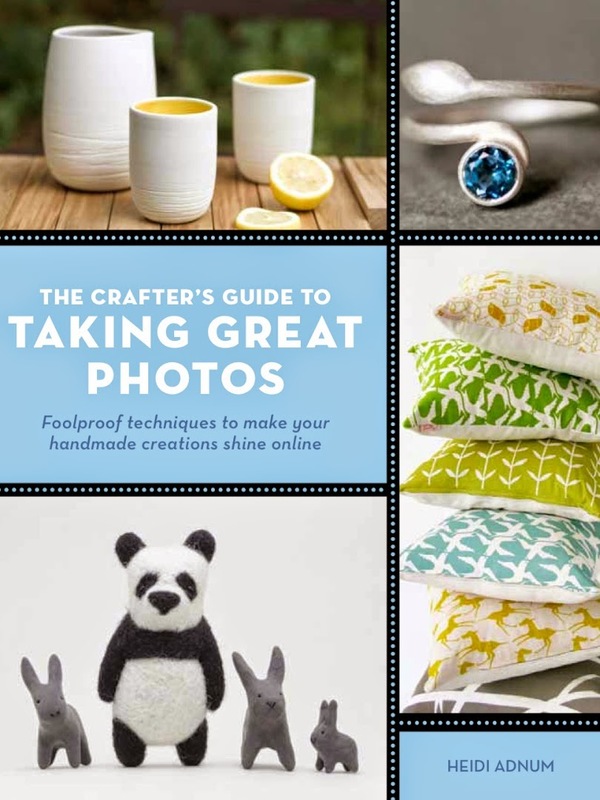 The Crafter's Guide to Taking Great Photos by Heidi Adnum is a fabulous reference guide which claims to provide 'foolproof techniques to make your handmade creations shine online' and I love it! It is a wonderful read with masses of information and (obviously) fabulous photography. I don't have an SLR camera but have still found plenty of great hints and tips. The problem I have is not with this book but with myself as I am still rubbish at photographing my work! I think I need to put regular time aside to study the book in detail. Oh and move to a gorgeous country cottage to provide a backdrop for my new professionally shot product photos.